Enjoy delicious cocktails at some of South Carolina’s many noteworthy bars. Whether you’re looking to grab a drink with coworkers or a quiet spot to enjoy a cocktail on a weekend getaway, the Palmetto State has got you covered. Sit back and enjoy a cocktail at some of South Carolina’s best restaurants and bars. Discover some of the best spots in South Carolina to enjoy a cocktail. From iconic college taverns to eclectic rooftop bars, there are plenty of venues to choose from when it comes to enjoying a cocktail in the Palmetto State. 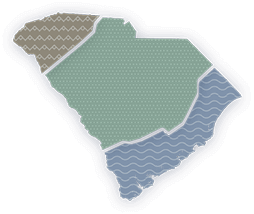 Flavor and variety are both signatures of the Palmetto State, and the same applies to its craft beer. With so many different flavors and styles, there’s something for everyone to enjoy! As one of the most popular cities on the East Coast, it should come as no surprise that Charleston is brimming with cocktail hour hot spots. From scenic rooftop bars to award-winning restaurants and local breweries, the Holy City is the perfect place to enjoy a cocktail amongst friends. From farm-to-shaker cocktails to local craft beer, you won’t have any trouble finding a spot for cocktail hour in Columbia. Enjoy everything from specialty cocktails to fine wine and craft beer at one of Columbia’s many restaurants and bars. Enjoy an evening in downtown Greenville and discover a variety of premier restaurants as well as a booming craft beer scene. Here are the very best spots to grab a drink with friends and family. You don’t need to travel far from the beach to find a good cocktail on Hilton Head Island. Enjoy a cold drink with friends and family at any of these cocktail hour hot spots. From famous bars to fine wine boutiques and local craft breweries, you don’t need to go far to find a good drink in Myrtle Beach. Here’s our list of the best spots to grab a drink after the beach. From the mountains to the sea, you’re never too far from a cocktail hour in South Carolina. Uncover local craft breweries, wine bars and more cocktail hour hot spots wherever you decide to venture to in the Palmetto State. Have a delicious meal and enjoy craft cocktails and beverages all in one sitting! Thanks to an exceptional culinary scene, this is pretty easy to do in the Palmetto State. Discover some of the Palmetto State's 19 best spots to enjoy a drink and meal after a day on the course. From casual to fine dining, there's a venue to suit every taste. Enjoy craft brews and cocktails at some of these top-rated spots in South Carolina. Be sure to check out some of these hotel bars on your next trip to South Carolina. You won't be disappointed. From rooftops to basements, South Carolina's nightlife offers a wide variety of options when it comes to where you decide to enjoy that after-hours cocktail. Who doesn't love to relive the good ole days every now and then? Take a trip down memory lane and stop by some of these iconic college bars in the Palmetto State.